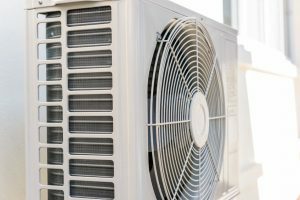 Sifting through all of the available air conditioning companies might seem like a daunting task, especially when they are so many AC companies in your area, but when you turn your attention to Caldeco Air Conditioning & Heating, it’s easy to see why more and more Central Florida home and business owners choose us. Caldeco Air Conditioning & Heating has been serving the Central Florida region for nearly 30 years. We are family-owned and have countless satisfied customers. Each of our technicians is NATE certified, and we are a Carrier Factory Authorized Dealer, which means that every Carrier installation we complete is backed by a 1-Year, 100% Satisfaction Guarantee. In addition, we are highly-rated on Angie’s List and are a current and five-time winner of the prestigious Carrier President’s Award. Customers enjoy our regularly scheduled maintenance programs, which take the guesswork out of scheduling your service calls, and we always provide up-front, honest pricing on service and repairs. Better still, we often offer special rebates and discounts on services, as well as new system installations, and even offer financing to all qualifying customers. You can rest assured you are getting the most competitive rates when you partner with us for all of your AC system needs. If you own a home or business in Clearwater, Brandon, Temple Terrace, Pebble Creek, Wesley Chapel or the surrounding cities and have been searching for air conditioning companies to perform repairs or maintenance at your home or office, contact Caldeco Air Conditioning & Heating today. Out of all the AC companies in the local region, we are the company preferred by more Florida residents. We are the Hometown Expert, and we stand ready to serve you!